For most people, his words ring true to this day. Although Russia is the largest country in the world and has the eighth-largest GDP, little is widely known about the nation and its culture. 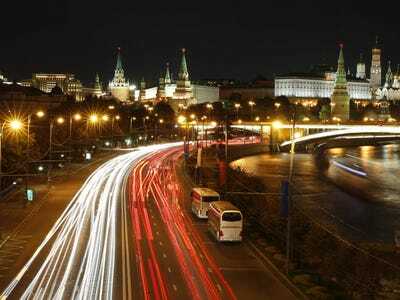 Because Russia has increasingly made international headlines, it’s a good idea to know a few things about the country. To help you out, we’ve compiled a list of some of the craziest facts about the Russian language, culture, politics, and statistics. 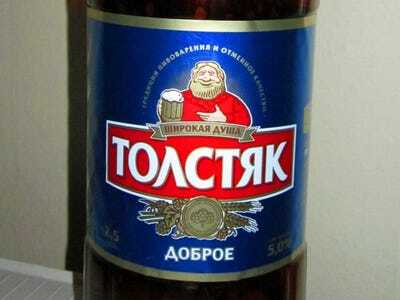 In 2011, then-President Dmitry Medvedev officially signed into law that beer was in fact an alcoholic beverage. This law finally put limitations on where beer could be sold. 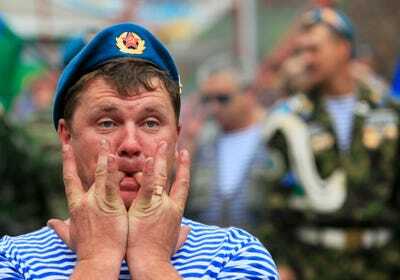 One out of four Russian men die before their 55th birthday. 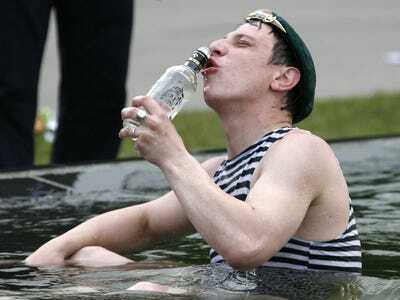 The life expectancy for men in Russia is 64 years old, a total among that of the 50 lowest countries in the world. Only 10% of men in the US die before their 55th birthday, and 7% of men in the UK do. 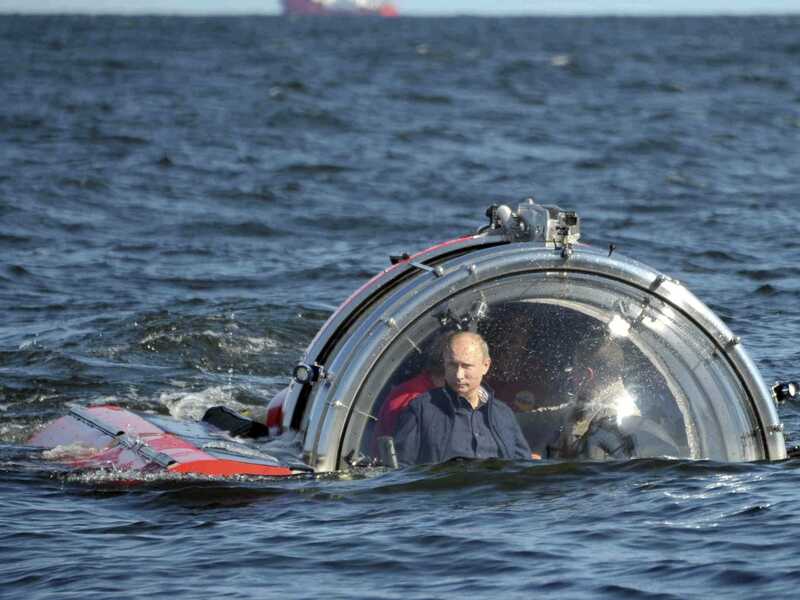 You can find McShrimp only in Russia. Next time you find yourself in Moscow, take a bite -- if you dare. 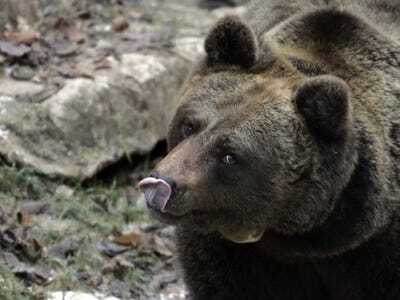 Some bears in Russia are hooked to jet fuel due to the leftover kerosene and gasoline containers in far-east regions. One photographer observed that the bears would crawl into and 'sniff' the leftover containers. During the 2012 election (when Putin was elected for a third term), one region registered a voting turnout of 146%. Critics believe that there was electoral fraud in Russia's 2012 election, especially after one region registered a 146% turnout. 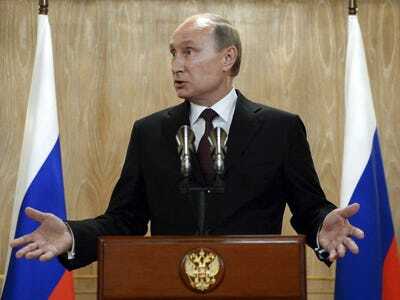 According to official results, Putin won nearly 64% of the vote. Moscow's uber-rich sometimes drive in ambulances so they can go around traffic. Moscow traffic is horrendous. So some wealthy Muscovites have bought ambulances so that they can drive around freely during rush hour. 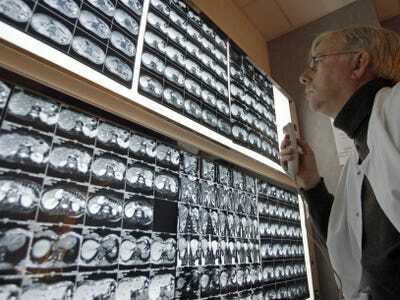 Under the Soviet Union, the distribution of Beatles albums was forbidden by the government, so some medical students would burn Beatles songs onto old X-rays. Most goods and services from the West were forbidden, so people came up with creative ways to get their hands on things. 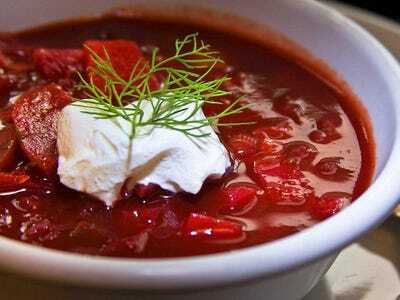 Recently, some Russian restaurants have stopped using the word 'borscht' -- instead opting to say 'beet root soup' -- because the word 'borscht' is Ukrainian. 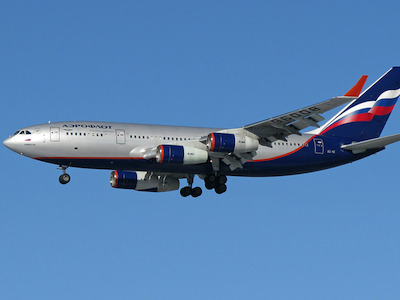 Russians sit quietly for a few seconds before travelling. Back in the day, people would sit in silence for a few seconds and then say a quick prayer for the journey ahead. One odd Russian superstition is to avoid whistling indoors. Legend has it that Russians chose Christianity over Islam back in 988 AD in part because they didn't want to give up alcohol. 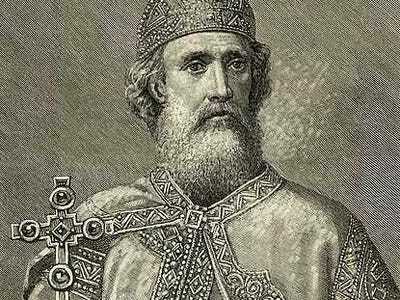 Prince Vladimir the Great ruled over Kievan Rus' (aka medieval Russia) from 980 to 1015. Kievan Rus' was originally Pagan, but Vladimir converted to Christianity and then converted all of Kievan Rus' in 988. 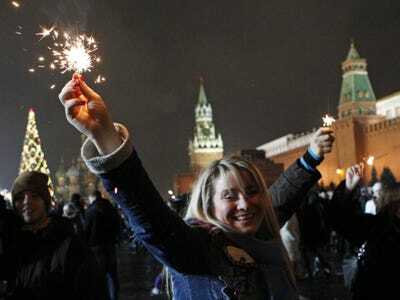 Even though Russia has a large Christian population, New Year's is a way bigger deal than Christmas. 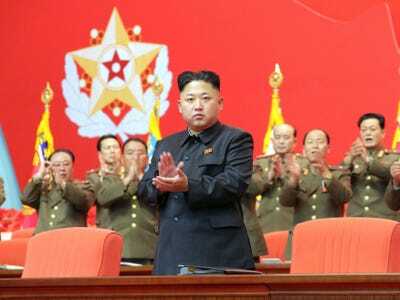 In fact, gifts are exchanged at midnight on New Year's, rather than on Christmas Day. Side note: Russians celebrate Christmas on Jan. 7 because they follow the Julian calendar. As a result, New Year's precedes Christmas for them. 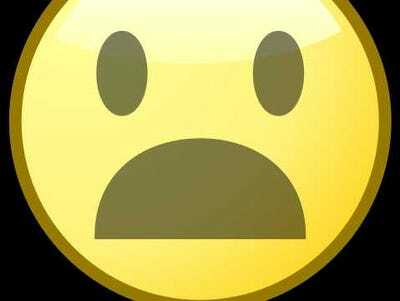 Russians don't put eyes on smileys when typing. The more parentheses you add, the more you like something. 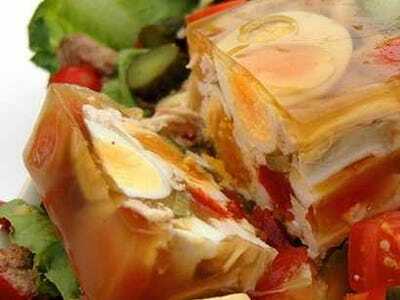 One super-popular Russian meal -- called 'holodets' -- contains meat suspended in salted gelatin. Russians also love cow tongue, pelmeni (Siberian meat dumplings), and kotleti (fried meat patties). 75% of Russian territory is located in Asia. That being said, only 22% of the population lives in the parts of Russia that are technically in Asia. An overwhelming majority of Russians are concentrated in western Russia. 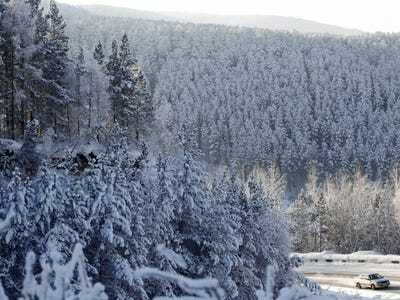 Russia accounts for 20% of the world's forest area. Plus, Russia has the deepest lake in the world, Lake Baikal. 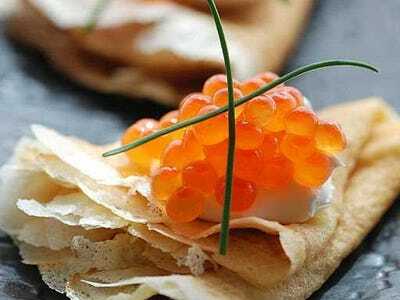 Russians eat their pancakes with sour cream and caviar. The Russian version of the pancake is called a blin. 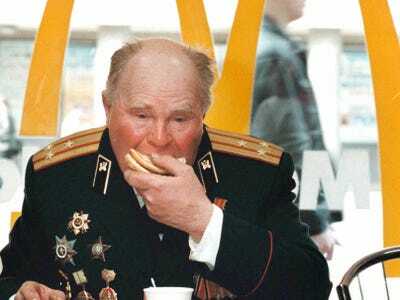 While members of the younger Russian generation (especially those who were born outside of Russia) sometimes eat them with syrup or sugar, they are traditionally eaten with sour cream and caviar. Some people also add eggs, dill, and smoked salmon. 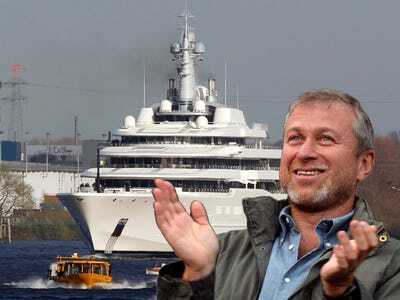 Roman Abramovich, a Russian billionaire, installed lasers in his yacht.